Research from Fitch Ratings shows that close to 800,000 bankruptcy filings occurred in the 2015 calendar year. The good news is that bankruptcy numbers are trending downward, but the bad news is the impact on American households. It is public policy to make sure that multiple bankruptcy filings are not part of a person’s future. To this end, the Bankruptcy Abuse Prevention and Consumer Protection Act of 2005 requires credit counseling and financial management instruction. Countrywide Pre-Paid Legal Services offers such counseling and education as part of the financial wellness program. Bankruptcy is not an easy crisis to gain recover. Filing for it is not an activity that should be entered into lightly because of the consequences. Being in bankruptcy puts some very serious restrictions on an individual, and the financial decisions he or she attempts to make. The wrong move is going to cause some serious problems. There are things a person can do, and there are other things an individual must not do. Counseling is the only way to really understand boundaries. The counseling cannot come from some amateur. Certified counselors are the best people with whom to work. Countrywide only makes use of certified counselors; people who have experience guiding other people. Our professionals are able to show how to navigate through any bankruptcy situation encountered. The instruction we provide will take care of any financial education requirement. Perhaps even more important is the bankruptcy counsel we provide. 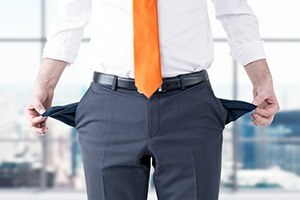 Bankruptcy is a very traumatic experience for anyone to undergo. It can be very embarrassing for an individual because it suggests this person does not have any control over his or her finances. Countrywide knows the emotional distress of any plan member who is getting bankruptcy counseling. Our network of bankruptcy professionals works with the understanding that courtesy and respect are qualities we expect. No one is treated like an indigent child. Countrywide operates this way because we realize bankruptcy is caused by any number of reasons. A person can have a sudden emergency crisis, or the stress of student loans can make it very difficult to meet payments. Accidents happen and these can drain resources. We know that people sometimes are driven to the point of financial distress and bankruptcy is the only option. To suggest that bankruptcy is a result of frivolous spending is to show considerable disrespect those who have to endure this process. Organizations who really want to help their employees are advised look at this particular option carefully It is the kind of service people use, and greatly appreciate. Those employers who have bankruptcy and counseling education value their staff and understand the trauma. The employees who are able to use the service deeply value what their employer is doing for them. The result is increased loyalty and commitment to productivity. The economy is getting better but there still are emergencies that arise. The bankruptcy counseling education Countrywide provides help people better weather the storm. Those who use it are grateful for the information they receive.